One of my favorite snacks (especially in the summer) are Chips and Salsa. 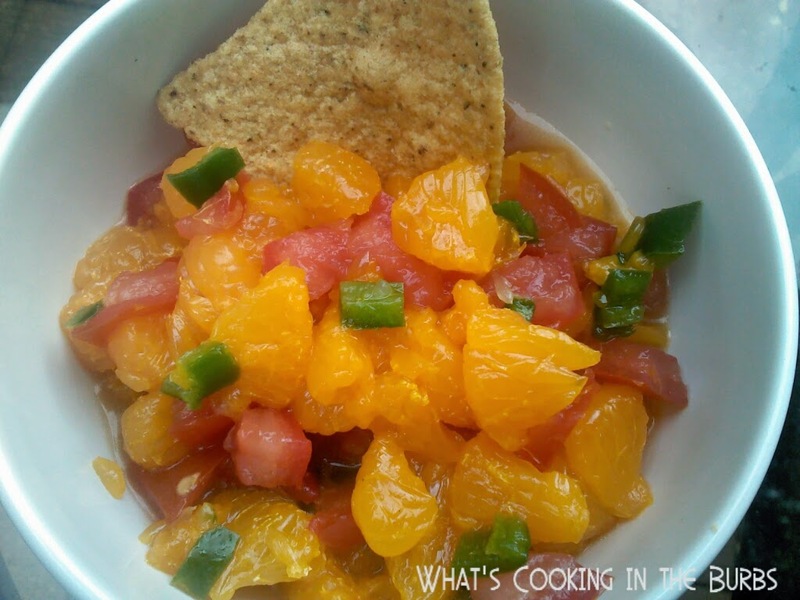 It makes a great warm weather appetizer and make it with fresh fruit? Um...yes, please! This tasty salsa combines fruit and veggies for a sweet and spicy salsa. It was amazing! Gently toss the oranges, tomato, jalapeno, lime juice, vinegar, oil, and salt in a large bowl until combined. Place in the fridge for about 30 minutes. Serve with tortilla chips or fresh veggies. Enjoy!